CGTV & Top Hollywood Agents! Breaking into show business is not for the faint of heart. It can be tough at times and takes immense dedication as well as raw talent. If you believe you or your child has the raw talent to make it in Hollywood, but are seeking some help refining the skill set, then consider CGTV to help you get to the next level! Talent is important but it doesn’t put you in front of the right agents that have all the connections to casting. We train actors on the ins and outs of the industry, and help them prepare their monologues and scenes to highlight their natural strengths. After helping them hone their skills, we put them live on stage in front of some of Hollywood’s biggest and best agents and managers. Many of these aspiring actors have been trying to get in front of Hollywood agents for years with no success. We bring the talent right to the source! If you’re a parent hoping to help your child achieve his or her acting dreams, you can feel safe and confident about CGTV. If your child is chosen for the program, you’ll see with your own eyes how their talent blossoms under the instruction of Adrian R’Mante. After completing the curriculum, your child will have gained invaluable skills on what it takes to audition in Hollywood. Being a CGTV graduate puts your kid ahead of the others – they’ll have the training, courage, and industry connections to get a leg up in the competitive world of show business! CGTV has a world famous producer that offers an exclusive platform into the entertainment industry by bringing together performers to the studio and live stage in Hollywood to meet Disney casting directors, talent managers, and agents who represent celebrities on CBS, ABC, and NBC. When you join CGTV, you will be guided by some of the top celebrities from major networks including ABC, NBC, CBS, Disney Channel and Nickelodeon. Our talented actors have been in a number of shows including CSI, 24, Modern Family, The Suite Life, Drake & Josh, Austin & Ally, and Good Luck Charlie. So what are you waiting for? Make your dreams or your child’s dreams become a reality! At CGTV, we present you with the keys to unlock all the right doors. You bring the talent, we’ll give you the stage and the connections to become the NEW CGTV STAR! To learn more about our program, browse our website or give us a call at 818-284-6689.
https://cgtv.la/wp-content/uploads/2015/01/show-logos-e1442449118765.png 195 900 R'Mante https://cgtv.la/wp-content/uploads/2018/10/CGTV-Logo-300x106.png R'Mante2016-06-28 20:49:522016-07-04 18:19:35CGTV & Top Hollywood Agents! A big part of acting is having confidence in front of the casting directors. Actors also tend to be very hypercritical of themselves and that shows in front of agents and directors. At CGTV we teach our actors skills and practices that instill confidence at the heart of the actor. The confidence leads to comfortability both at auditions and on-camera. Don’t take our word for it. 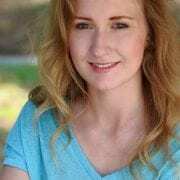 Listen to what Elizabeth Anne Waldridge, CGTV graduate. Click here to hear from the talent who have taken CGTV! CGTV Reviews from real people. There are plenty of actors that come to us that are already getting jobs on their own. So why do they come to us? There are a few reasons that we want to point out. A true actor knows that training never, ever ends. Each new role requires you to reach into a different part of you to bring that character to life. Sometimes, techniques that worked to help reveal one character just won’t work with a new one. And, as we mature techniques that were not available to us as a child become front and center. Because of all of these reasons, most actors are either still learning or at the point where they are mentoring others. The second reason working actors come to CGTV is because of Adrian R’Mante to be quite frank. Not only is he a consummate professional actor and director, but he is also a teacher, mentor, and light in many people’s lives. He also packs an iPhone filled with Hollywood talent agencies and casting directors that he puts his students in front of. Everyone knows that Hollywood is a small town and it all comes down to who you know. And chances are, you don’t know anyone. We do. Don’t take our word for it, listen to the parents of a working actor named TJ Norfus. 2) Adrian made himself available for feedback and questions long after the week was over. So, he’s not just taking your money and running. This is what is listed on their website. What is not listed is how difficult it is to become a member. You cannot just pay your way in. In fact, you will not find a “Join now” button on their website. 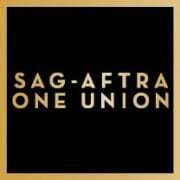 SAG-AFTRA membership is available to those who work in a position covered by a SAG-AFTRA (or AFTRA or SAG) collective bargaining agreement, provided that any person qualifying through work as a background actor must have completed three (3) days of work as a background actor under an SAG-AFTRA (or AFTRA or SAG) collective bargaining agreement. Performers may join SAG-AFTRA if the applicant is a paid-up member of an affiliated performers’ union (ACTRA, AEA, AGMA or AGVA) for a period of one year and has worked and been paid for at least once as a principal performer in that union’s jurisdiction. Because of CGTV, I am inspired to pursue my dreams. Prior to CGTV, I believed my goals were unachievable and unrealistic. This is my third year being a part of CGTV and I can proudly say that at just 18 years old, I am moving to Vancouver to attend the Vancouver Film School. Adrian R’Mante has truly helped me discover myself by believing in me and motivating me. The greatest gift of all has been him teaching me that I can accomplish absolutely anything I dedicate myself to. He sees my true passion for performing and I am so grateful for everything he does for each and every one of his students. I love the entire staff at CGTV and you have each changed my life and for this, I am grateful. So glad you reached out. 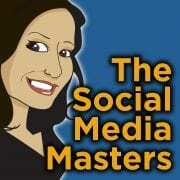 First of all, I am the social media director for CGTV and before that, I was a client and a mom of a client. Both my daughter and I went through the program and it is truly amazing. My daughter got to work with the actors from all of her favorite TV shows from childhood. She was a Shakespeare Festival finalist and I am a classically trained theatre actress. I too had questions of legitimacy, because there are so many talent agencies scamming and asking for fees. CGTV is NOT a talent agency. It is owned by Adrian R’Mante aka Esteban from The Suite Life of Zack and Cody. Who coincidentally was an English teacher prior to striking it big with Disney. He is a machine. He works with these kids from the moment their feet step on the ground in Hollywood and he never leaves them. Even after the program. Before I tell you more about the program itself, I want to point out that CGTV found Bex Taylor Klaus (Arrow, MTV’s Scream & many more) See her IMDB here: http://www.imdb.com/name/nm4545813/ I text with her and she 100% testifies that without CGTV she would be nowhere. During the program the kids all audition again for Adrian in person. This takes hours, but it reminds him what their talent is and helps him select a scene partner that will make both partners shine. He does all of this himself. Even though there is a large staff, the important production, casting, directing and final decisions are all made by Adrian. From day 1 of the event through the end, you will watch him work from morning till night, then go home with hours of work to do to get everyone organized and on track. The week I was there he did this with over 75 students. It was insane to watch how perfectly orchestrated it is. When you are not in the room with Adrian, you are in workshops with STARS from your favorite shows. But more than stars, they are consulate professional actors that know the ins and outs of Hollywood and want to save your kid the strife of learning from the ground up, the hard way. The actors shown on your brochure are not just photo and a smile, they work with our students to teach them everything from how to take your mark, how to audition, what will separate your audition from everyone else, the motivation behind your monologue/scene, improv and so much more. Out of the 300 people that auditioned in Phoenix, I know for a fact that only 60 kids made it past the audition. So they are HIGHLY selective in whom they bring into the program because it is his reputation on the line with the agents every time. For them to keep coming back for years, is only the result of Adrian’s hard work at ensuring there will always be fresh, new talent at these events. 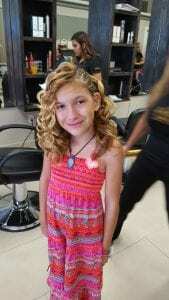 Lastly, my daughter and I were scene partners and we were able to perform on an actual TV set with Adrian directing and have professional commercial reels and headshots that can be delivered to agencies and applied directly for roles. So from one cynical mom to another, I personally rest my reputation on CGTV and Adrian R’Mante. 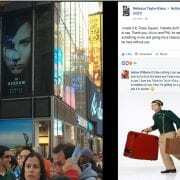 Bex’s 1st Times Square Billboard! Our graduates have made it BIG in Hollywood. Bex Taylor-Klaus is one of those stars. 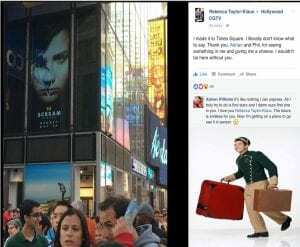 Bex credits CGTV and Adrian R’Mante for her Times Square, New York City Billboard! From her first audition to her acting program and showcase, Bex shined like a diamond in front of our Hollywood agents & Managers. While CGTV is NOT a talent agency, we are the best in the nation at scouting talent, training that talent quickly and effectively and then putting them in front of our personal industry Hollywood contacts. In fact, many Hollywood casting agents, managers, and agents have come to rely upon CGTV as a quarterly talent source. Want your shot at Hollywood? Register at www.CGTV.LA/Register just like Bex did. https://cgtv.la/wp-content/uploads/2016/06/13161905_822209404578822_5858603363465512743_o.jpg 1160 1408 R'Mante https://cgtv.la/wp-content/uploads/2018/10/CGTV-Logo-300x106.png R'Mante2016-06-02 18:00:322016-08-04 17:35:21Bex's 1st Times Square Billboard! The truth is, we are proud of all of our CGTV graduates. And, this one struck gold, almost immediately after attending our program. 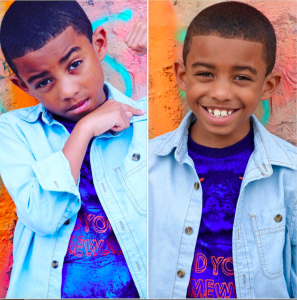 We saw RJ’s raw talent at an audition and were thrilled to train him and prepare him for Hollywood. After the program was complete, we put RJ on stage, live in front of our Hollywood managers and agents. It was nearly unanimous, they all wanted him. RJ had his pick of top Hollywood agents and managers through his training and connections from CGTV. It did not take long for him to secure a co-starring role in Me, Earl and The Dying Girl. Not only was the movie critically acclaimed, but the three main stars (including RJ) made it to The Sundance Film Festival. In fact, RJ was nominated for a Critic’s choice award. Now RJ is on set filming The Power Rangers. Cast as the Blue Power Ranger, this is just the beginning of an amazing film career for . RJ credits all of this to CGTV’s acting program and connections.